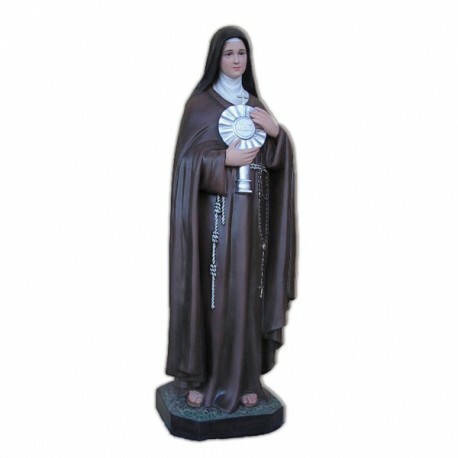 Statue of St. Clare of 100 cm. 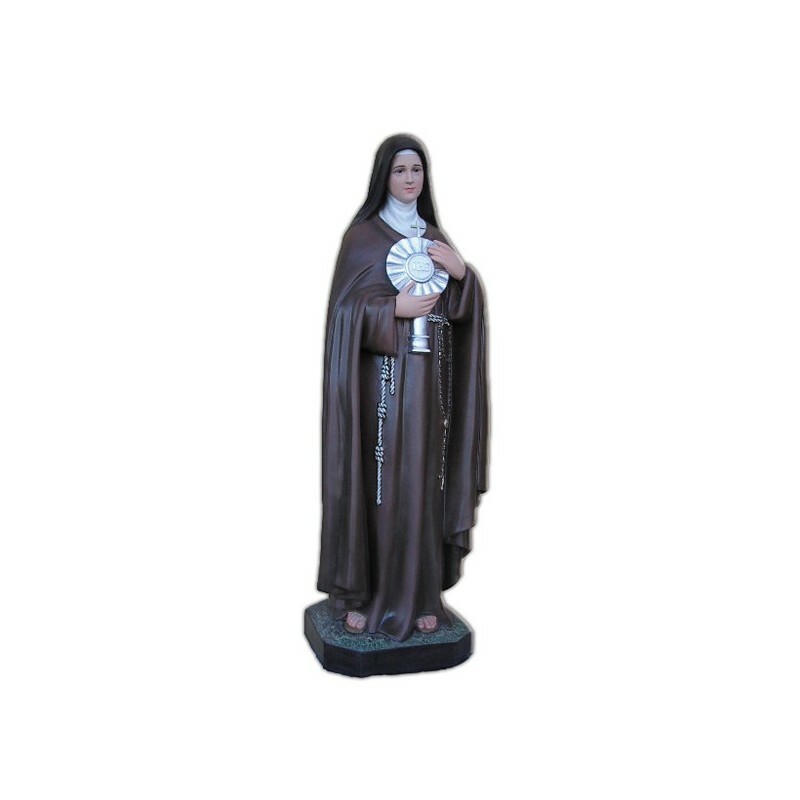 Statue of St. Clare, 100 cm of fiberglass, handmade in Italy. Saint Clare of Assisi, virgin and foundator, is commemorated on the 11th of August. She was born in Assisi and when she was 18 years old she was attracted from the doctrine of christian poverty, moralized by Saint Francis. She ran away and she received the veil by Sain Francis, who hosted her among the benedictin monks of Saint Paul and, in the end, in Saint Damian, where it was founded the firts convent under the managment of Clare. For 40 years she ruled the convent. Her role in the sudden spread of the franciscan movement was as much as that of Saint Francis. She was canonized two years after her death. In the classic iconogaphy she is illustrated with a monstrance, beacuse, when she showed the Holy Host, she saved the convent from the Saracen attack.